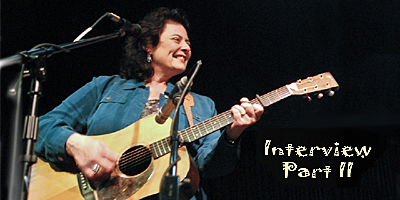 Kathy Kallick has been leading bands and writing songs since 1975. 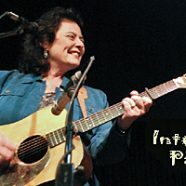 Over the years, she has grown and evolved into an outstanding composer with over 100 of her original songs recorded and enjoyed by fans and listeners in Northern California, around the country and throughout the world. With so many songs already written and published, what inspires you to keep writing? I can’t help but write songs. I have a very aggressive Muse who will not be denied! When I’ve tried to intentionally take a break from writing, it never works. Neither will it work for me to sit down and make myself write a song. The busier I am, the more input I’m receiving from the world at large, the more likely I am to have a burst of songs. I’m very inspired by the stories I hear from friends, or a common thread that runs through several situations. Sometimes I’m percolating a song subconsciously, and it’ll come out fully formed and surprise the heck out of me. I tend to write a lot in the first person. That’s how my first bluegrass songs came to me, as stories from my experience, but many songs are just story songs, or quite removed from my own experiences, when I can take the opportunity to try on another point of view. I love a good story song, and I’m sometimes inspired by novels I’ve read or songs I’ve heard. Sometimes I want to think about more of the story than has already been told. I get inspired to write new songs when ever I learn a new chord shape, or guitar run, or strum pattern. Anything that gets me playing the guitar a bunch to learn something new is likely to unleash a melody, and then the words fall into the cadence of the melody. For me, songs start in all those ways; melody inspires words, the lyric suggests a cadence that leads to a melody, or the lyrics and melody appear simultaneously. Sometimes a new song will be based on playing out of a certain chord shape and I’ll have to capo a gazillion frets up the neck in order to sing it in the right key! What have you learned from your personal journey as a songwriter that might be helpful to others walking their own creative path? I’ve found that listeners will often take their own meaning from a song, and that’s something I really love. I’ve often not thought about the meaning of a song in the same way as somebody who hears it from their own experience, and the song is open to different interpretations. I never try to correct somebody who’s heard something that resonates for them, even if they’ve heard a completely different lyric than I wrote. Sometimes the music happens somewhere between my performance and their ears, and it’s magic. I think the most important thing about songwriting is to write in one’s own voice. By that I don’t mean everything has to be True Confessions, but that the voice I write in is believable. Even if I were to write in some arcane dialect or different gender or historical background, I have to believe the voice of the singer. I have to sing it from the heart, or it will fall flat. I’m always writing songs for me to sing; if somebody else wants to sing it, that’s great, but I first have to be able to sing it myself. I like to write a song that’s interesting to me, so even if it’s a simple love song, I’m going to reach for some word or phrase or perspective that’s not been worked to death. I’m going to let unlikely words and language into a song, and let the story unravel how the song tells me, even if it goes somewhere uncomfortable. I try to never force a rhyme, or force a word into a song just because I like the word. I let the song take the lead. Then I go back and edit. Get rid of clunky stuff. Take out verses if it’s too long. I often like to leave a bit unsaid, and tell the barest bones of the story, implying things. That lets a listener fill in the blanks and get personal with the song. I think many songs fail by being too long and just beating the listener to death. Of course, the details really give the rich flavor to a song, but Hank Williams wrote some killer short songs! I try to stay away from maudlin, tear-jerker, National Inquirer songs. If a song is manipulative, it doesn’t move me, it just makes me mad. If the emotional content is real and believable, the song will be moving to a listener. These are my opinions, and I could go on and on, but, each songwriter will have their own set of criteria, and checklists of good intentions. The world is full of way too many songwriters. Nowadays everybody has to be a songwriter, and sadly, there are so many generic sounding songs. Sometimes I take a break and go back to Carter Family songs or classic Bill Monroe or the Stanley Brothers — just anything pure and plain — and I loll around in the beauty of those songs, thinking I’ll quit cluttering up the air with more songs. Then the cosmic radio switches on and a song starts screaming away in my brain, and I’m off and running! I guess I’ll probably keep writing songs as long as that continues.